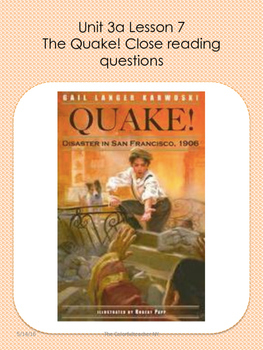 These are the close reading questions for The Quake! Lesson 7. 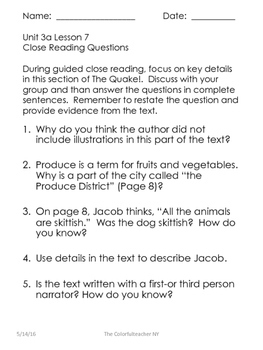 They can be used for group work/independent work. Enjoy!